Nigeria has taken another fall on the international press freedom index, to rank 122 out of 180 countries examined. Since President Muhammadu Buhari took power in 2015, Nigeria has been on a decline in the world ranking, falling from 111 to 116 in Buhari’s first year as president. In 2017, the country recorded another fall, moving from 116 to 122 — entering the red-zone for press freedom across the world. 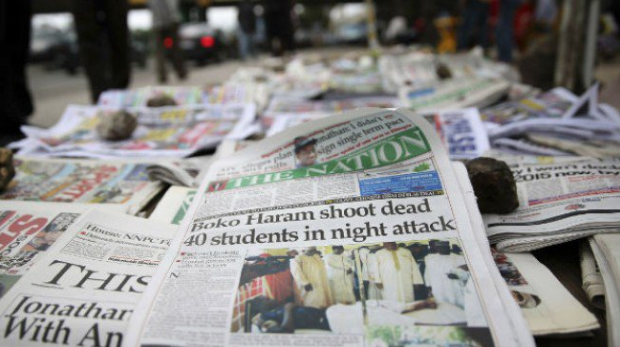 “In Nigeria, it is nearly impossible to cover stories involving politics, terrorism, or financial embezzlement. Journalists are often threatened, subjected to physical violence, or denied access to information by government officials, police, and sometimes the public itself,” RSF said. According to the index, which was released by Reporters Without Borders (RSF) on Wednesday, Norway, Sweden, and Finland are the countries with the best press freedom in the world — in that order. The worst countries on the index are Syria, Turkmenistan, Eritrea and North Korea. RSF said in 2017 alone, eight journalists have been killed across the world, while 193 are currently imprisoned.None of the journalist killed is from Nigeria. Femi Adesina, Buhari spokesman says the current government is committed to press freedom in Nigeria. Garba Shehu, another media assistant to the president, also said the president will never approve the humiliation of any journalist. A lawless, corrupt, violent and failed Islamic state.